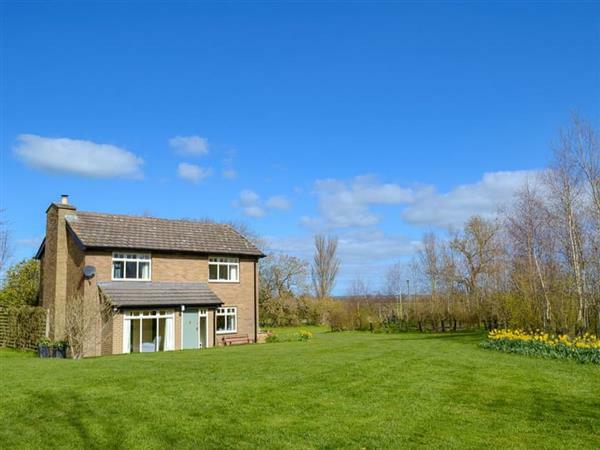 Coldcotes Moor Cottage in Ponteland, near Newcastle, Northumberland sleeps 5 people. Coldcotes Moor Cottage near Newcastle is set in the grounds of Coldcotes Moor Farm; this detached two-storey cottage enjoys beautiful views across the mature garden. 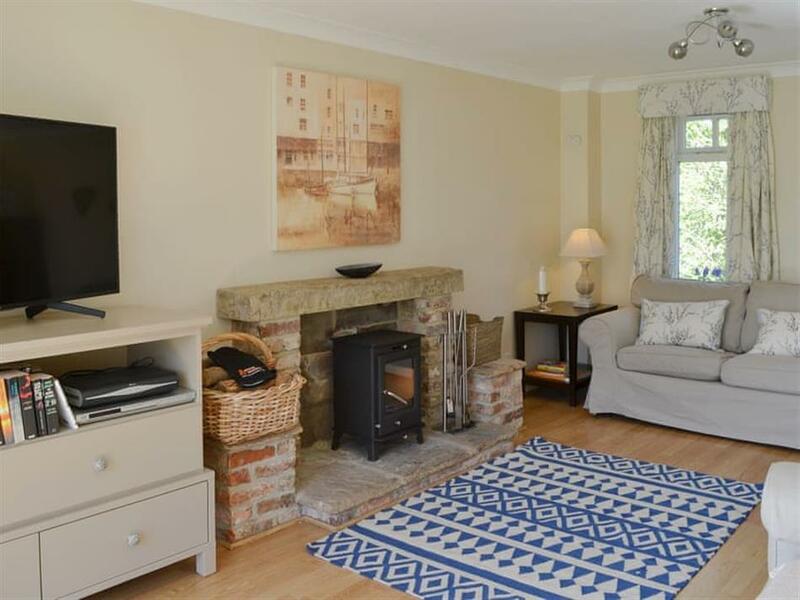 The cottage is immaculately presented throughout and oozes charm and style. There is a wood burner in the living room making this a cosy retreat regardless of the season and full height glass windows enhance its bright and airy ambience. The dining kitchen is equipped to a very good standard and French doors lead out to the patio area. All three bedrooms and the pristine family bathroom are on the first floor where there is much thought, care and attention to detail throughout. Coldcotes Moor Farm is idyllically situated and offers a truly rural feel. There is a well reputed seafood restaurant just over a mile north of the cottage and Ponteland is only 2 miles south, where there is a wide array of facilities with a selection of good quality shops, pubs and restaurants. The medieval market town of Morpeth is around 13 miles northwest and well worth a visit. The National Trust property of Wallington is within easy driving distance. Newcastle airport is only a short drive from Ponteland and the cultural city of Newcastle-upon-Tyne is only 10 miles south making Coldcotes Moor Cottage an excellent choice for those seeking beautifully furnished accommodation situated in a tranquil spot yet conveniently placed to allow visitors to reach the cultural pursuits of the city and Gateshead Metro Centre too. The beach is 16 miles from Coldcotes Moor Cottage near Newcastle. With the shop and pub 2 miles, and the restaurant is 1¼ miles from Coldcotes Moor Cottage. Kitchen/dining room: With electric oven, electric hob, microwave, fridge, freezer, dishwasher, washing machine, tumble dryer and French doors leading to patio. Oil central heating, electricity, bed linen, towels and Wi-Fi included. Initial fuel for wood burner included. Lawned garden with patio area and garden furniture. Private parking for 3 cars. No smoking. Holidays at Coldcotes Moor Cottage run from Friday to Friday. For a better idea of where Coldcotes Moor Cottage is, you can see Coldcotes Moor Cottage on the map below. Coldcotes Moor Cottage is in Northumberland; should you be on the lookout for a special offer, you can find all the special offers in Northumberland. It's always worth checking to see what is on offer at the moment. Do you want to holiday near Coldcotes Moor Cottage (UK11186), you can see other cottages within 25 miles of Coldcotes Moor Cottage; have a look to find your perfect holiday location.